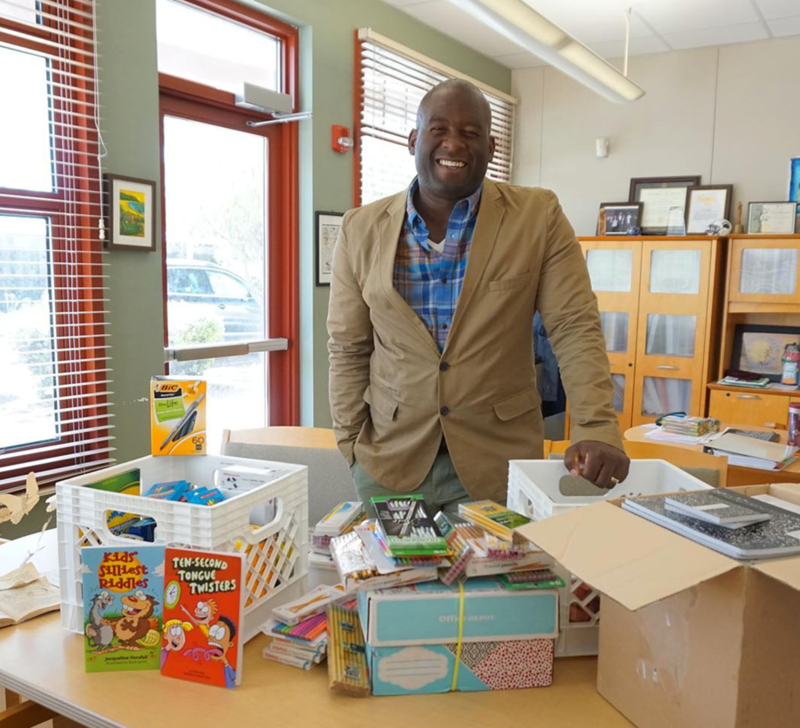 When Gaines arrived at Acorn Woodland Elementary in 2010 he prioritized how to teach students and the community to stand up for one another. In 2011, he involved in the Welcoming Schools program. The program provides elementary schools with resources, training, and technical assistance to help create a welcoming climate for diverse families, as well as prevent bullying, and provided needed supports to students. Acorn Woodland Elementary and Gaines were recognized by the Human Rights Campaign in 2014 with a Welcoming Schools Seal of Excellence award for the implementation of the program. Gaines attributes Acorn Woodland Elementary’s success with the program to students and teachers embracing each other as allies. “The challenges that we have seen in the past around bullying and anti-ally behavior is actually almost all—we just don’t have them anymore,” said Gaines. "All students need to feel safe, and we need to respect everyone for who they are," said student Ariana. In 2016, Acorn Woodland Elementary under Gaines’ leadership was again recognized, but this time for its participation in a program focused on the game of golf. Golden State Warrior star Draymond Green visited Acorn Woodland Elementary for an assembly about the now-defunct First Tee program that used golf to teach students integrity, respect, and perseverance, as well as how to make healthy choices. Acorn Woodland Elementary students and teachers have continued to be interested in being physically active and participating in healthy activities. In 2017, Acorn Woodland Elementary fielded the most runners of any school that participated in the Oakland Running Festival 5k. Gaines has also supported Acorn Woodland Elementary teachers in their efforts to continue learning. Teachers at Acorn Woodland Elementary have traveled to places like Tokyo to develop their teaching skills and keep up-to-date on the latest practices.